After a cold start to the month Friday (May 5th) was really warm, with temperatures well over 20 C. It’s not usual for May and the following days have given us snow, freezing nights and cold days. Anyway, as I had looked at the caches at Flughem and worked out the coordinates for ground zero where needed I decided that this would be a great way of spending the afternoon. It was all decided on the spur of the moment so I hadn’t noted much about the area. Forest. 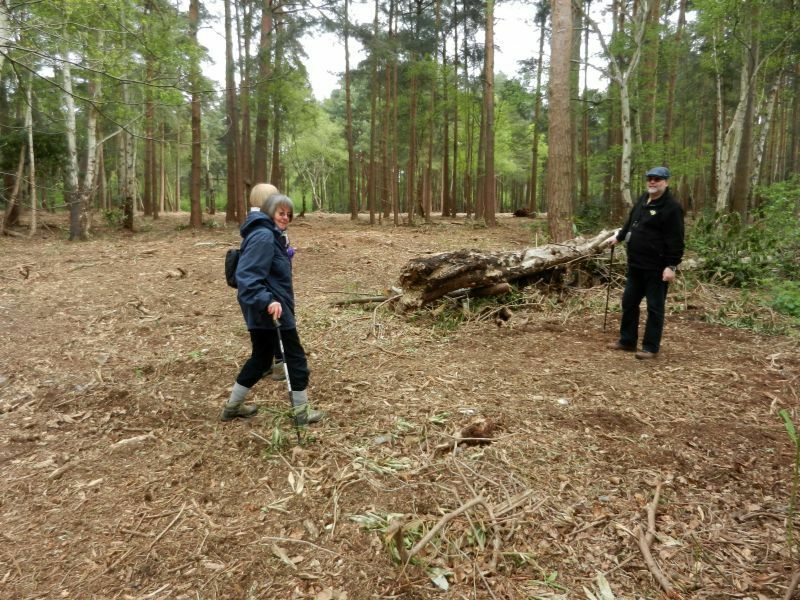 That’s roughly what I thought and didn’t expect it to be much different to the rest of the forest in the area. 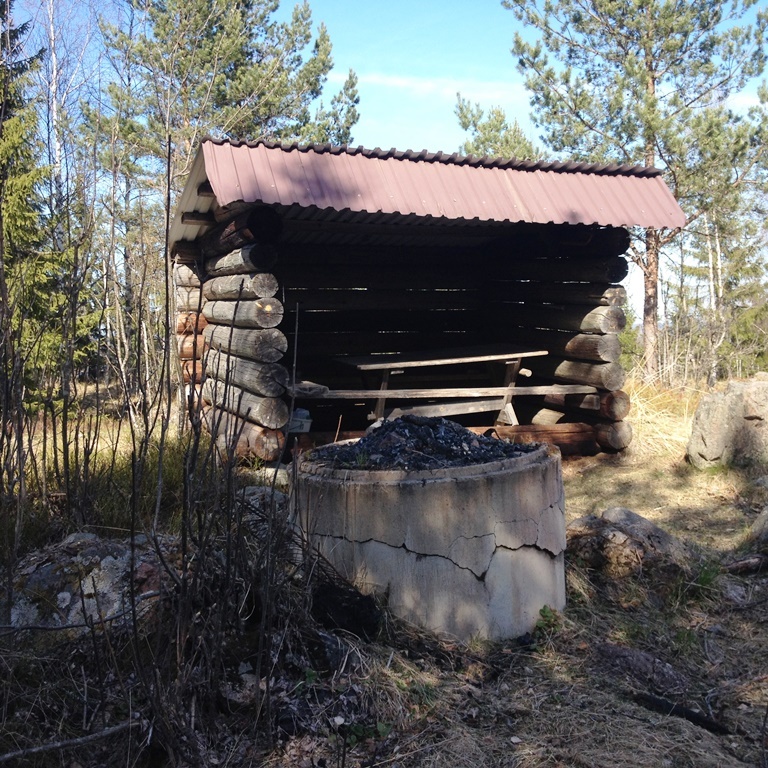 I know that there has been mining activity in the triangle between Hofors, Torsåker and Storvik and many years ago I had read a little about the geology of the area and have visited a few places to see old ruins. So off I set with GPS, spare batteries, pen and paper, letterbox stamp and pad, plus my old iPhone 4S with the geocaching® app. No water, no coffee and sandwiches, no sunglasses. No mosquito repellant, as it was far too early in the year to need it. I was going to be in the car most of the way and the final few hundred meters were bound to be on easily tramped forest paths! 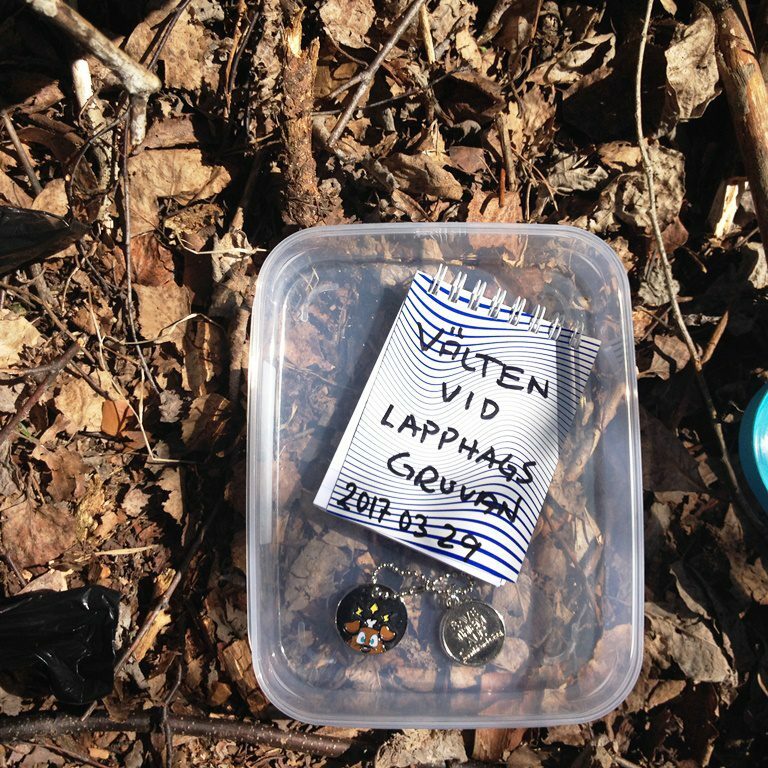 My first stop wasn’t planned but I saw the multicache icon for Välten vid Lapphagsgruvan and decided to stop and see if I could find the cache. The calculation of the coords for GZ was simple and there were clearly remains of an old mine to explore. My GPS thought I should examine a wall but luckily the hint was very clear! I dropped off a TB that I had picked up the previous weekend and continued on to Epicentrum which was quickly retrieved. Between the main road RV68 and Flughem was a mini power trail consisting of ten PET preforms. Nothing special but it’s nice to add numbers to my finds list. 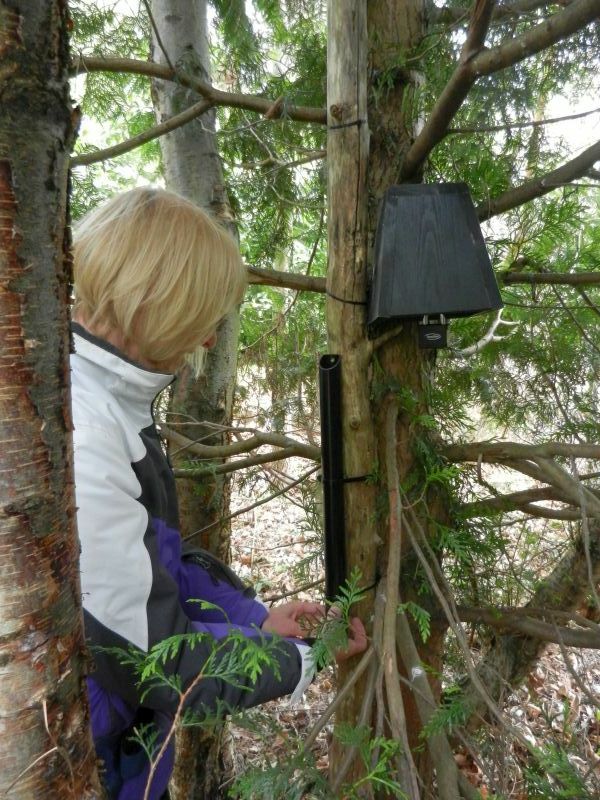 The first of the Flughem caches was a simple mystery, but a well composed and interesting one. I really had a laugh when I found the cache. So appropriate. I won’t post a photo here as it will spoil the fun for future visitors. I parked my car at the suggested spot and made my way to the letterbox hybrid at Flughems Kalle. Again this was a well thought out cache and a great container. I never understand why visitors to letterbox hybrids are too lazy to bring a stamp with them. It’s a small investment and makes the logbook much more interesting to look at than just a nick or in best case just the cache’s own stamp. 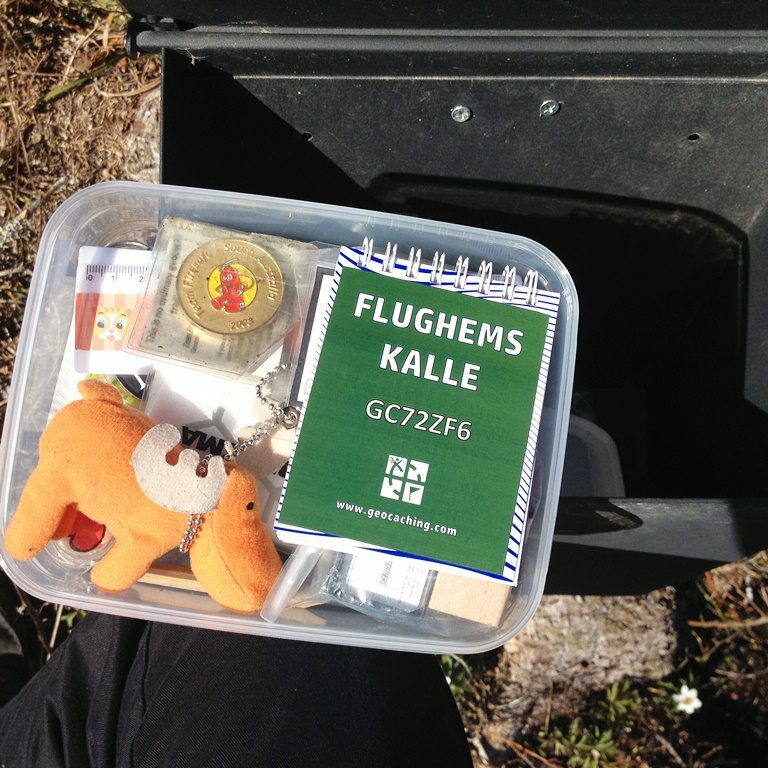 A well filled cache at Flughems Kalle. It was now that the real geocaching fun started. In the early days of geoaching regular size containers were placed somewhere out in the forest usually under a rock and you were expected to bush bash to get to them. Sometimes there was a path leading close by. 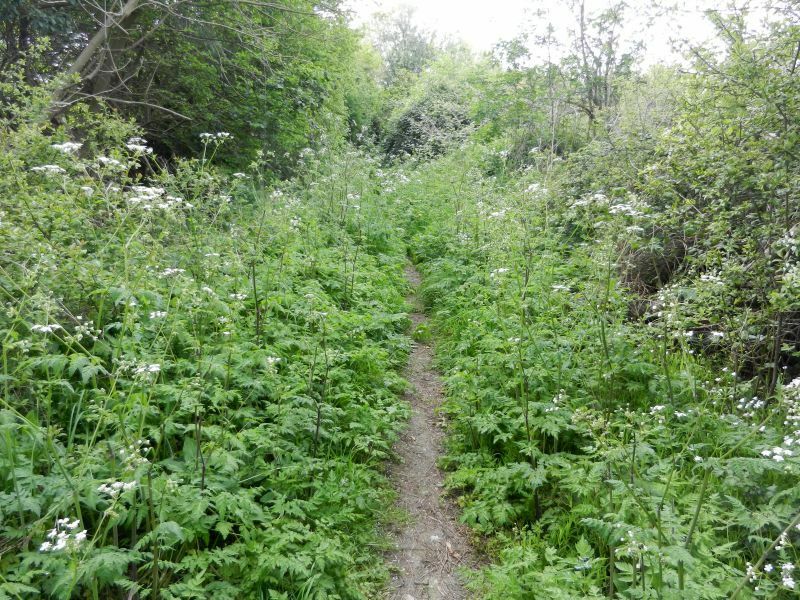 Usually, the path was found once you had reached the cache through bush bashing. I now felt some nostalgia. 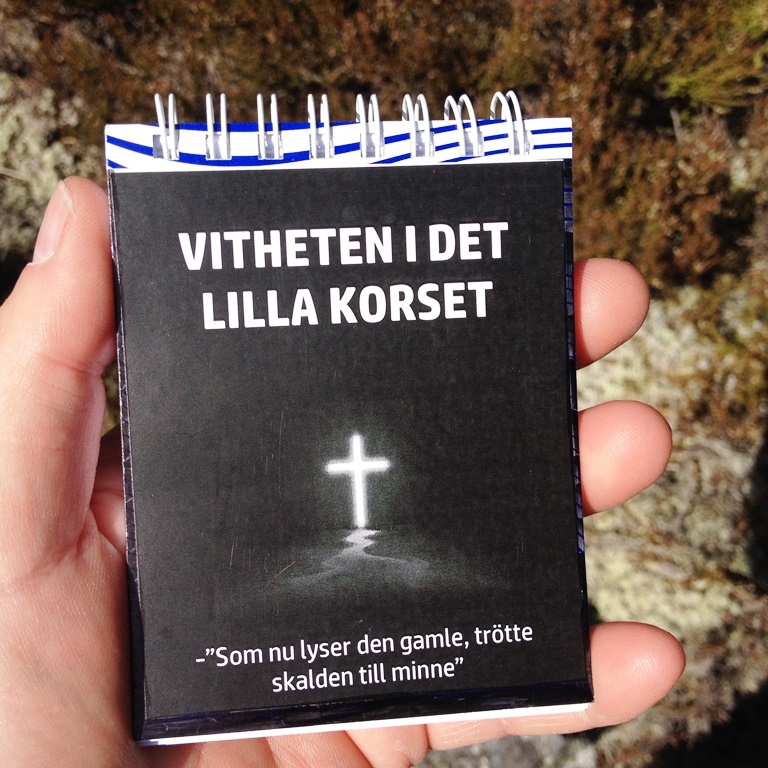 The starting point for Vitheten i det lilla korset was quickly located. Behind the cache were the remains of old mining activity. After the reading the cache page and activating a vast array of detecting devices, well my smrtphone and GPS I continued along teh path wondering what would happen. Pip! Data started flowing from out of nowhere and I suddenly knew that I had a few hundred meters walk to the cache. That’s where the fun started. I didn’t have a paper map with me and the maps on my smartphone and GPS don’t show paths in the forest, so I kept on walking but after a while realised I was heading south and the cache was to the west. I found a track and started following it. Suddenly there was no track just a steep slope strewn with mossy boulders and a fence at the top. I realised I was on the south side of the limestone quarry. 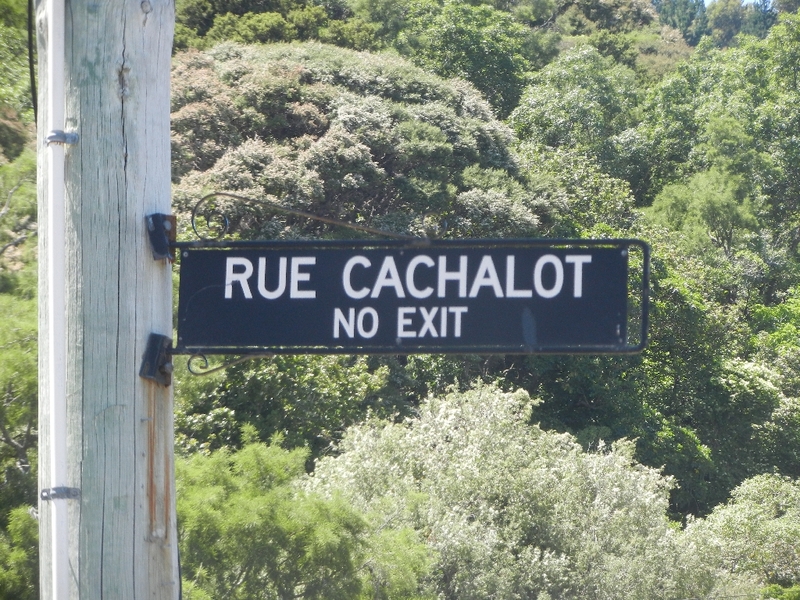 I continued on wondering where on earth the cache was going to be. A sweaty twenty minutes later I arrived at GZ. What a view. It was 24 C and a perfect place for a cup of coffee and a sandwich – if I had thought to bring something with me. This shouldn’t be hard I thought, there aren’t too many hiding places. After 20 minutes of futile searching I decided to “phone a friend”. I started with the CO only to find that the number I called had been transferred to someone else. He doesn’t work here any longer. I called Ironhawk67, X_1, Gustafs Lisa, Olleoljud and noone answered. It was then I considered giving up but I made another circuit around GZ. Nothing but mounting frustration. An idea popped into my head. Geocaching app message to the CO. Another circuit, this take anticlockwise around GZ. Yeah! There it was, hiding away under a stone overhang in a bed of moss and heather. Thirty seven minutes of my life had gone into finding the cache. Yes! Well, as I was here and sweaty but pleased to have finally found the cache I set off up another hill towards Mot Körbergsklack #09 where there was a great view over the surroundings. The wind shelter at the top of Körbergsklack. Of course after I found the cache I also found some well defind paths, which made it a lot easier for me to find the next few caches before getting back to the car 47 minutes later (according to my GPS tracklog). 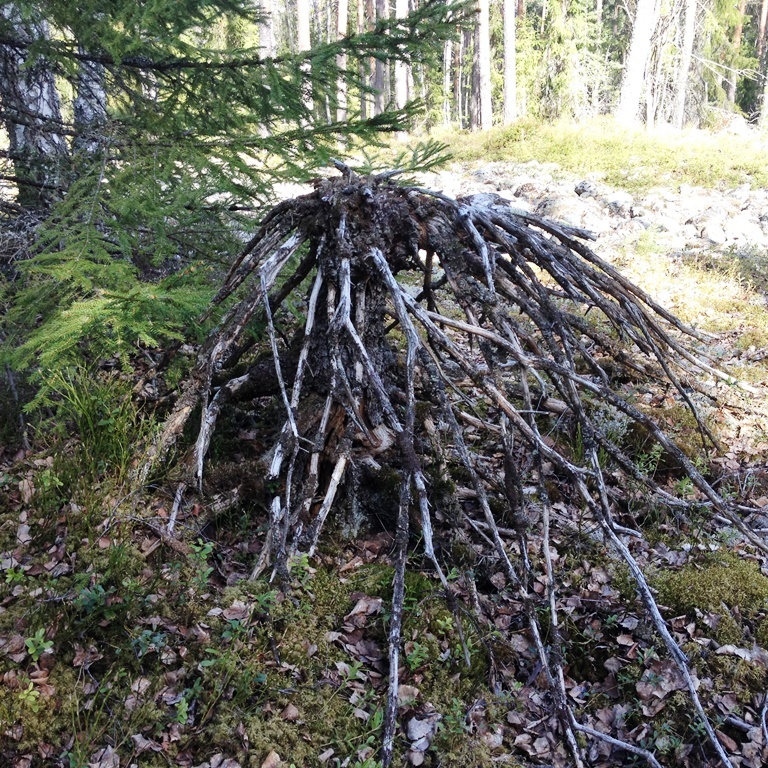 Amongst the caches I found were the earthcache Klapperstensfältet vid Körberget, a very old and wizened spruce, that according to the photo in the cache description was quite impressive a century ago Krypgranen vid körbergets fot and a multicache at the limestone quarry Kalkbrottet. A rather wizened creeping spruce. 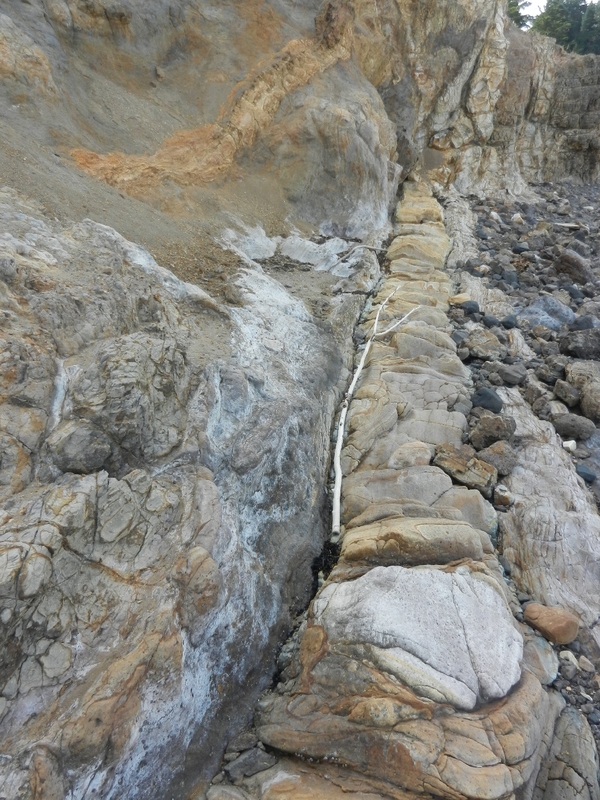 I didn’t try to get too close to the edge of the quarry as it seemed to be a long drop down to the water. It was far easier getting back to the car from where I was. I just followed a clearly marked trail and once back in the car, the AC was immediately turned on so I could cool down. I enjoy warm days but this one came as a surprise and I don’t think my body was ready for it. 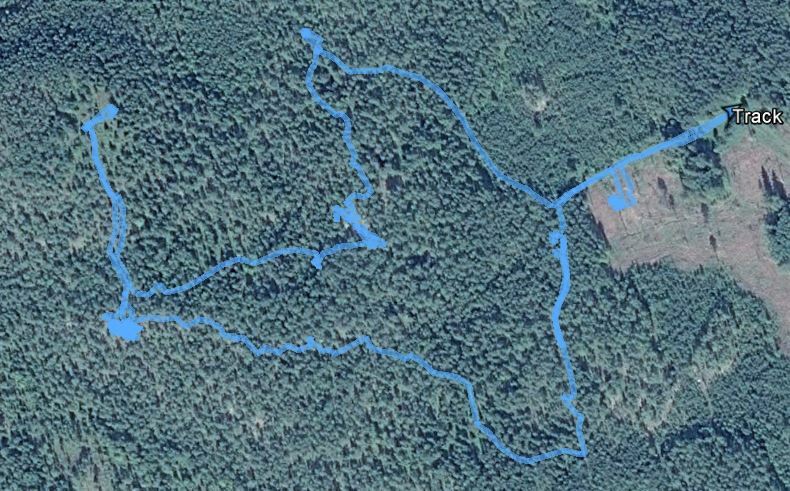 The tracklog and elevation plot from Google Earth show in principle where I stopped on my wander through the forest. The limestone quarry can’t be seen but it’s in the centre of the “circle” that my route took. A walk around Flughem starting at my car to the right and climbing to the highest point at the top left. Once my trip to the Isle of Man and England was known to zelger, he suggested an outing close to his home with a group that he is involved in: WKMU3A. U3A is the abbreviation for University of the third age and is for active people who have retired. WKM is for Wokingham where most live. I am still working but my younger brother and his wife who form “zelger” are both retired. Go figure. I was given a list of potential walking loops of about 5 km that ended at suitable eating and drinking establishements. 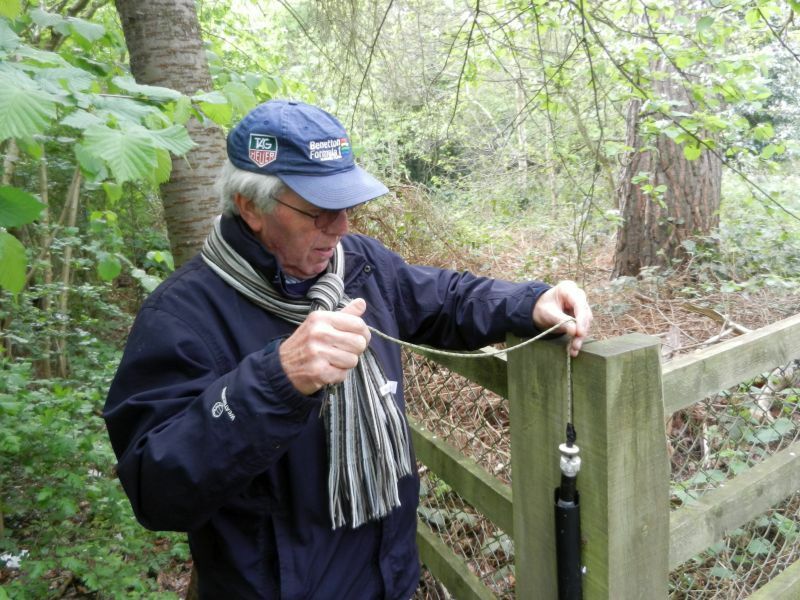 One that caught my eye was north of Reading and was a series of 40 mystery caches. I looked at them and found about half to be doable. The rest I just gave up on. That meant I had a list of around twenty caches in nice woodland. However, mysteries are not something that zelger or the WKMU3A group are keen on so the idea was parked. We arrived at Gatwick after an uneventful flight from Ronaldsway airport on the Isle of Man and took the direct train from Gatwick to Wokingham. It’s very convenient as it completely misses out on having to go into London. zelger had some things to sort out in the afternoon so he sent me off out on the BBC trail. Now, for me BBC stands for British Broadcasting Corporation, but in this case it meant Binfield Bridal Bicycle Circuit and consisted of a mixture of twenty six traditional, mystery and letterbox hybrid caches. zelger thought it was too complicated for them so they had parked it. I thought it was great fun. In the first two caches BBC#1 and #2 were laminated cards that gave the coordinates of BBC#3 and #4 which were mystery caches. Got it? 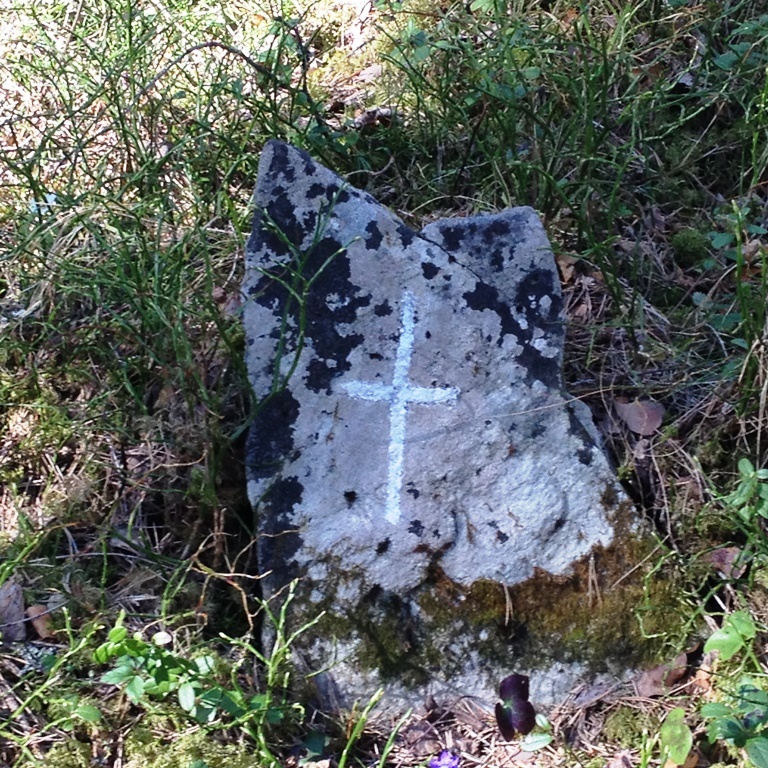 All along the trail new coordinates were given so you are forced to follow the series in numerical order. 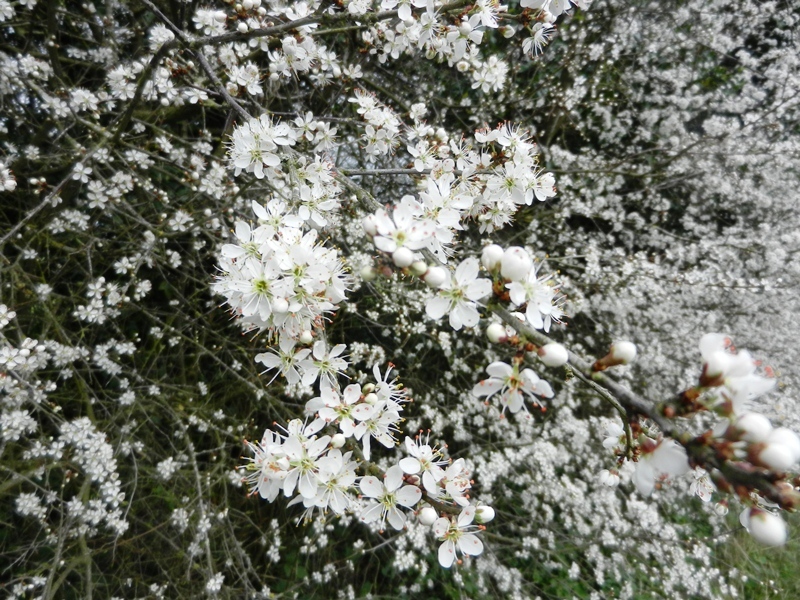 Spring had really arrived and it was great walking along the country lanes and bridal paths that the caches were placed along. I managed to get to BBC#8 which was a letterbox/hybrid cache before my time was up and I had to meet up with my brother again for the evening activities. 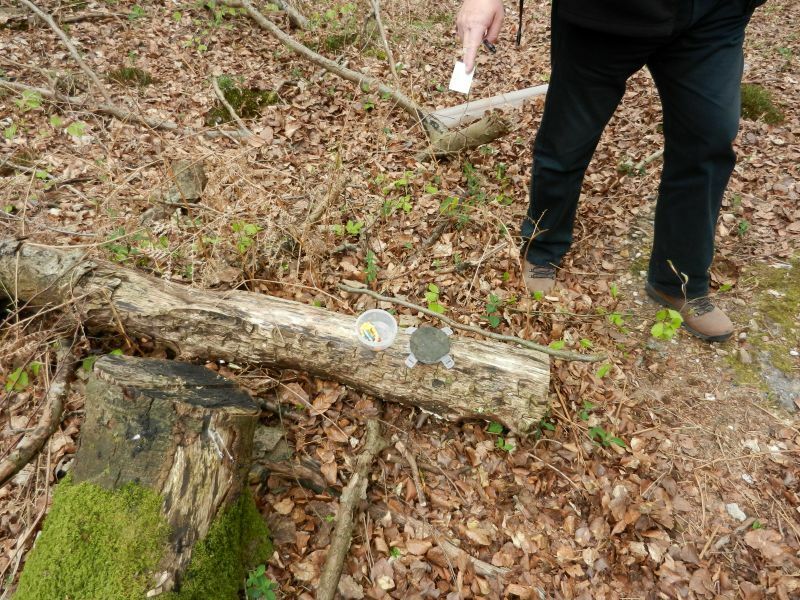 In the middle of the trail were a couple of JJEF caches, The ATM cache and Bobbing Pot. Our plan for the following day was that with zelger and WKMU3A we would attempt a series of JJEF caches in the morning ending with lunch and that zelger (both members of the team) and I would do a further series in the afternoon. We met up with three of the potential fourteen members of WKMU3A (not counting zelger who are also members) and started off for Rampant Rhododendron. When we got to GZ it looked as though a tornado had passed through the forest. Not a rhododendron in sight! Now where is that rhododendron? We had better luck at Opposites Attract which Bernie was keen to find. From there we moved on to The Green Hill No. 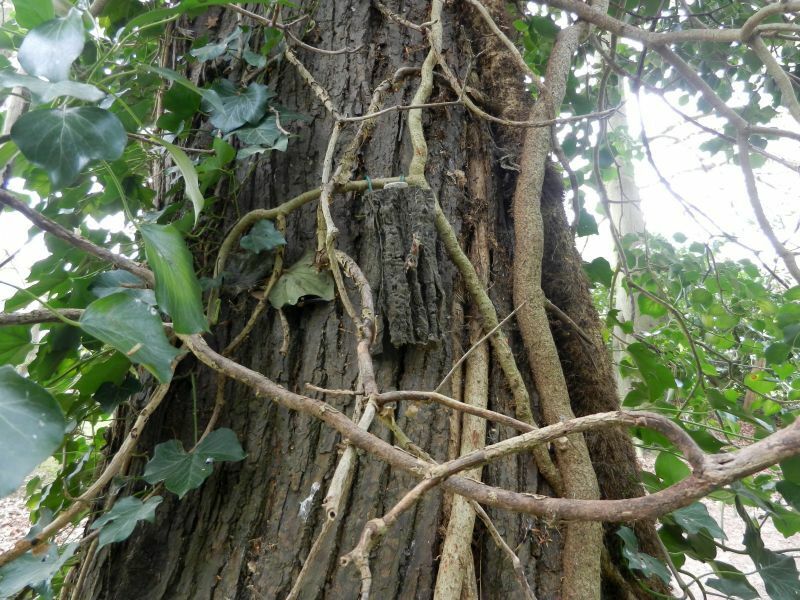 2 which was a block of wood hung up in a tree with a cable lock on it. There were letters carved on the wood that translated into the code for the lock. The look on everyones faces when they cracked the number at the first attempt was priceless. The Green Hill No. 3 was equally well constructed. This was a wooden box with a similar kind of lock and a block of wood with numbers on it. It was necessary to divide a huge number with a smaller number to get the code for the lock. I was just pulling up my smartphone in order to work out the answer when one of the U3A team whisked up a calculator out of their bag. A calculator! I haven’t seen one for years! Still dazed by the sight of the calculator we moved on to the remaining caches in the series and The Green Hill No. 4 was even better than the previous three caches that we had found. A padlocked birdbox hanging in a tree had a nearby plastic tube containing the key. I won’t spoil the game by telling you how to get hold of the key but everyone was really wound up by the caches we had found. This was much better than a film canister in an ivy covered tree. 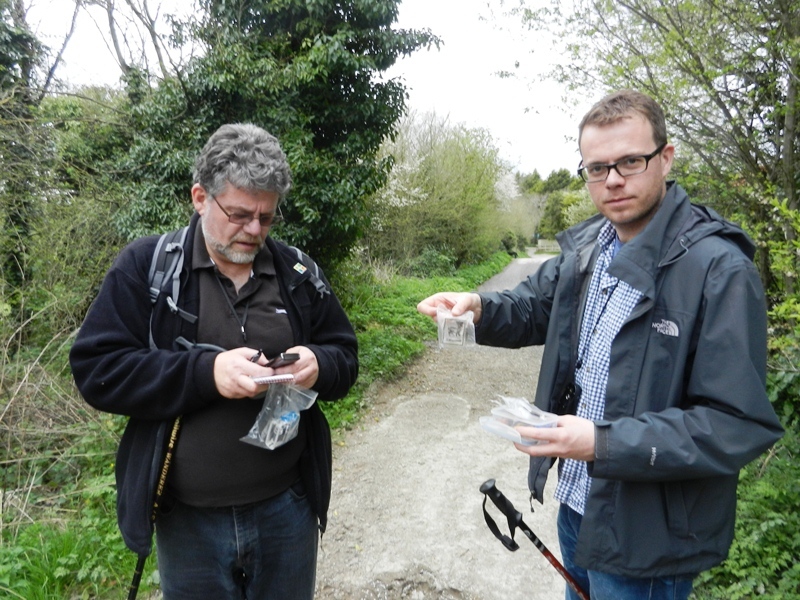 We carried on and found a couple more caches by the same owner and DNF’d two more. Can you spot the last cache the group found? There was a lot of talk over lunch about the experience from the morning and how much fun it had been. 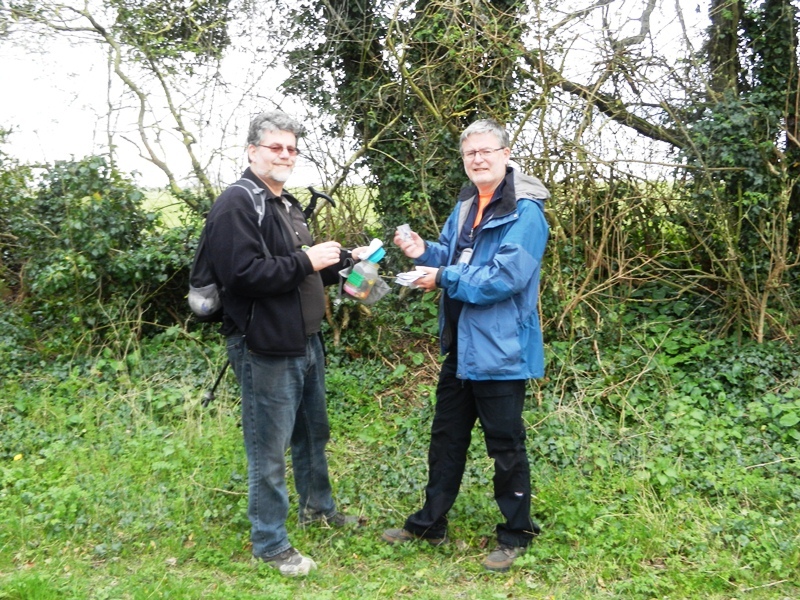 So, after lunch both halves of zelger and I set off on the six caches that comrpised the Fifield Frolic series. The trail passed along open and not so open paths in the area. 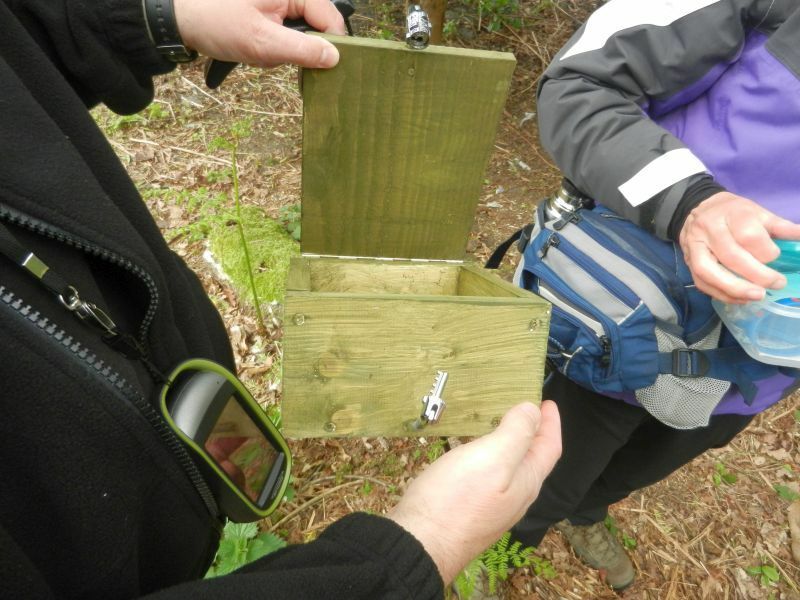 Again, there were no two caches that looked or functioned in same way and all were well made. They were placed four years ago and a lot of growth of the vegetation had occured making some of them a little more well hidden than they would have been when placed. After a full day of JJEF caches we had a quiet evening and spent the Friday morning sorting out the TB’s and geocoins we had found before moving off north towards Sonning Common and FamousEccles Favourite Forty mystery caches! 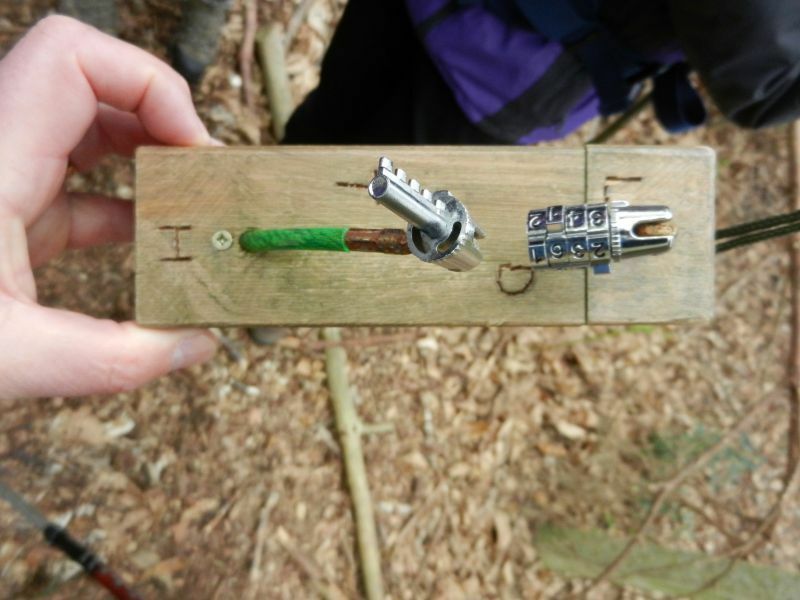 The puzzles I could solve were fun and the caches were located in a beech forest which luckily was still in it’s winter overcoat with little undergrowth. It will be a different story in a few weeks time. As we followed the paths an animal jumped across the path ahead of us. Was it a deer? Or a dog? It ran over to another of it’s kind and I learnt then that it was a muntjac. It’s an Indian deer that is proliferating at a great rate in England and is now quite a pest. I took a photo but it’s not worth publishing. 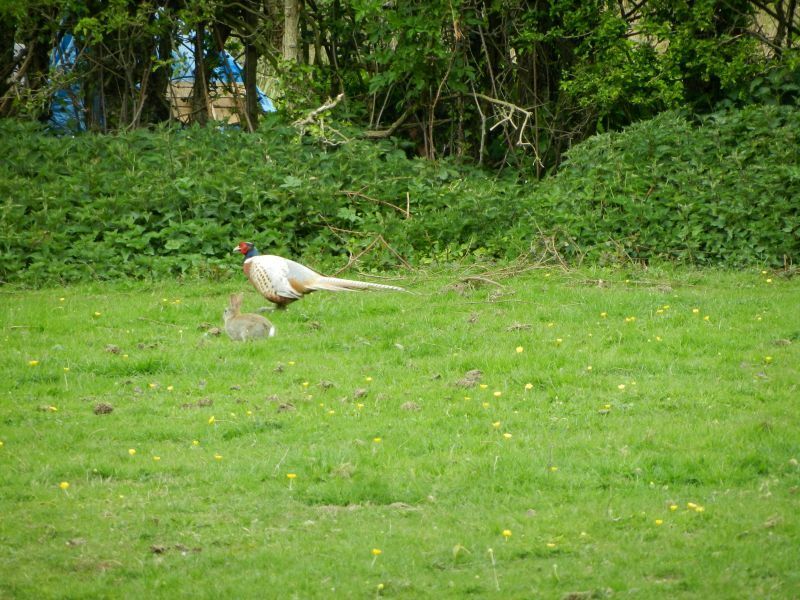 We also saw other wild animals including this golden pheasant and a rabbit. They didn’t seem to mind each others company. So the day ended with a visit to my brothers daughter and grandson on the way to catching a train to Heathrow and the flight home. 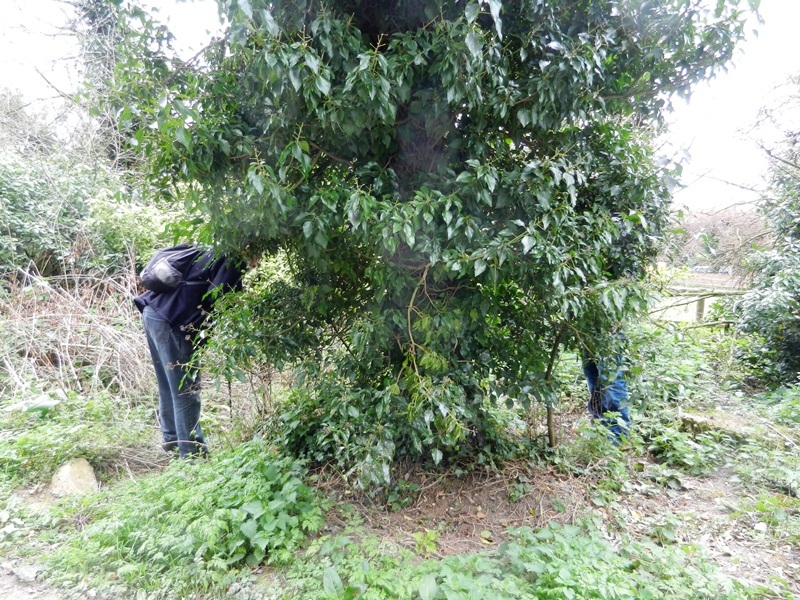 The following days were spent logging over a hundred caches and a dozen or more TB’s plus updating my blog. Phew! As I walked away from High Tech Countryside Letterbox #2 I wondered why I hadn’t been taking any photographs. When I was at the starting coordinates for this cache yesterday it was – 10 C, the sun was shining, the skies were blue and the road was dry. 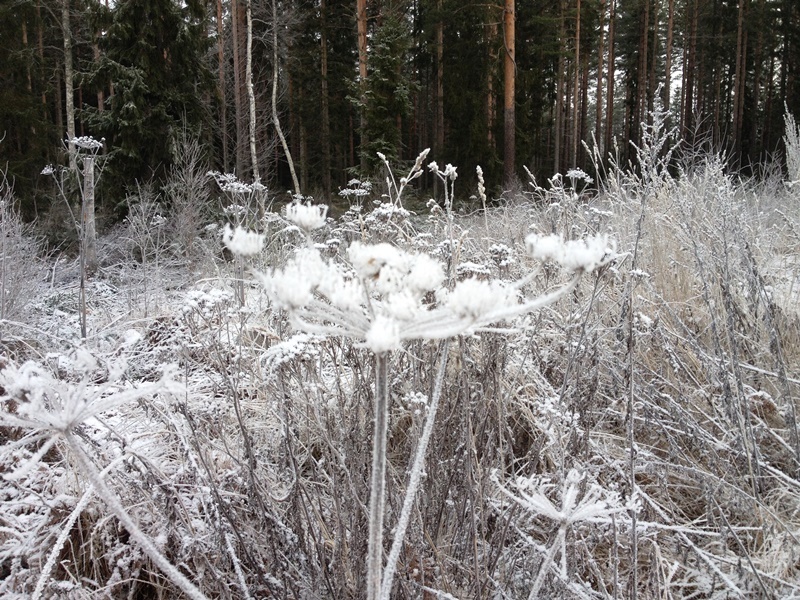 Today it was – 2 C cloudy and the road and all the surrounding trees were white with a heavy frost. The road was really slippery and walking through tall grass with just office shoes on wasn’t the best of ideas, but as I was on a lunchtime caching run that’s what I had on. The components of the cache were all well made and I should have taken photos just so I would remember what it looked like. It was well worth the visit. Julkalender 2015 – Dan före dan as my downloaded PQ was from a couple of days prior to that. I then finally stopped and took a couple of photos before rushing on so I could get back to work for the final few hours of 2015. 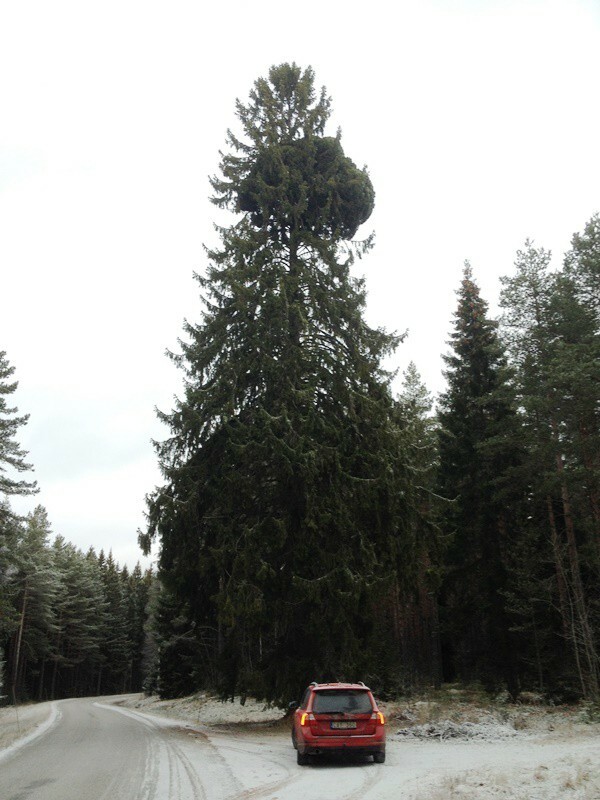 Of course the giant pine still has it’s growth at the top and has always seemed to be this large. I have already started to lose track of time since I left Sweden on January 2. 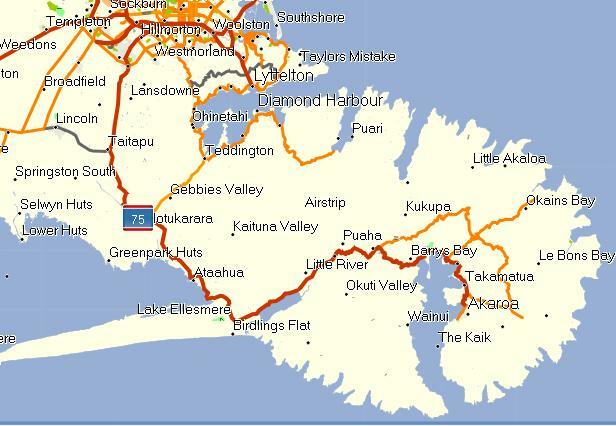 Now on January 10 I had the opportunity to get a lift to Akaroa and back with one of my NZ friends. Akaroa is a French settlement in the midst of this British heritage island as is seen by all the French shop, restaurant and road names. 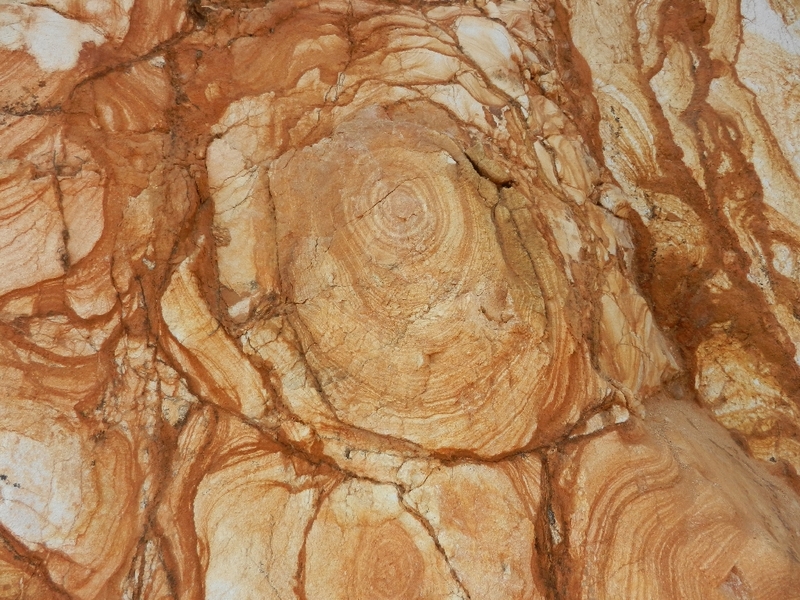 It is located in the eroded crater of a six million year old shield volcano and is about 80 km from Christchurch. 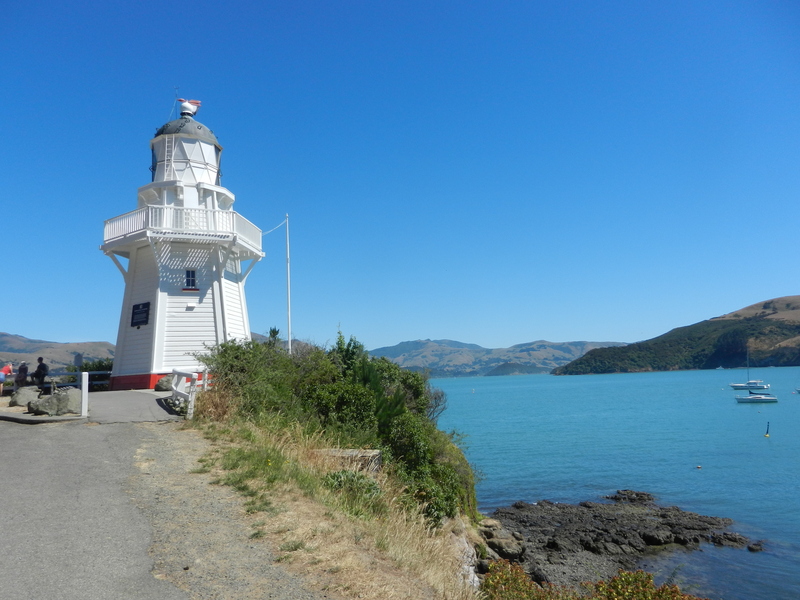 I know because I visited Akaroa Volcano (Canterbury) on the way back to Christchurch. 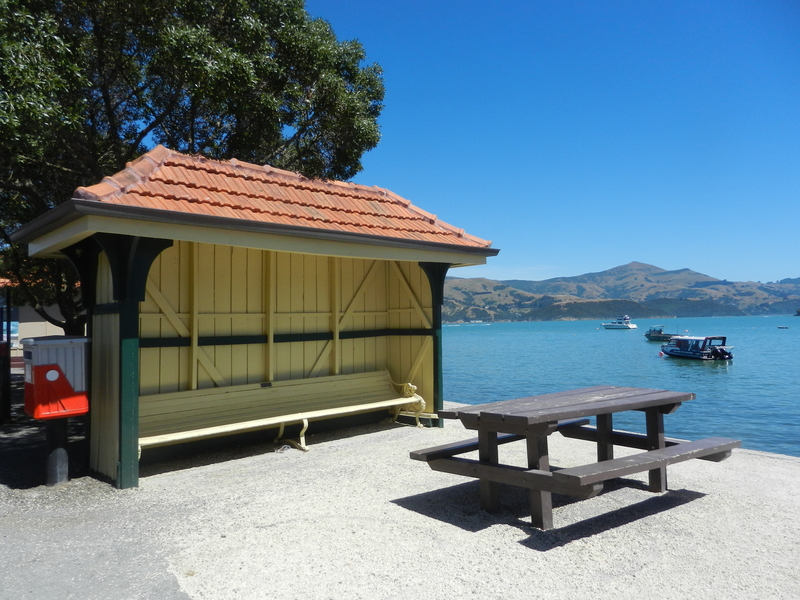 I had about three hours to kill and that seemed plenty of time to find the six caches in the town and eat the well known Akaroa fish ‘n’ chips. In the past they have been great but this time the batter on the excellent blue cod was a bit soggy which downgraded the experience. It was a glorious day and the temperature was a good 30C which made itself known on the walk up the hill behind Akaraoa. I started my walk at Jack of all Caches (Canterbury) which was situated by the old lighthouse. From there on my walk to the fish ‘n’ chip shop I DNF’d two caches along the waterfront road that seemed to have been muggled judging by the number of DNF logs. 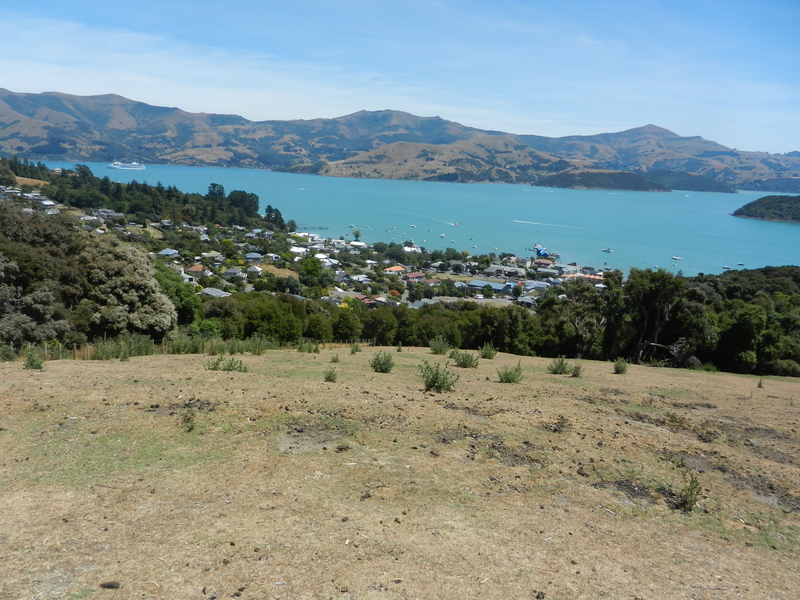 then on further to the top of Stanley Park for Stanley Park, Akaroa (Canterbury) and some great views over the bay. On the way back to Christchurchwe stopped at the earthcache. 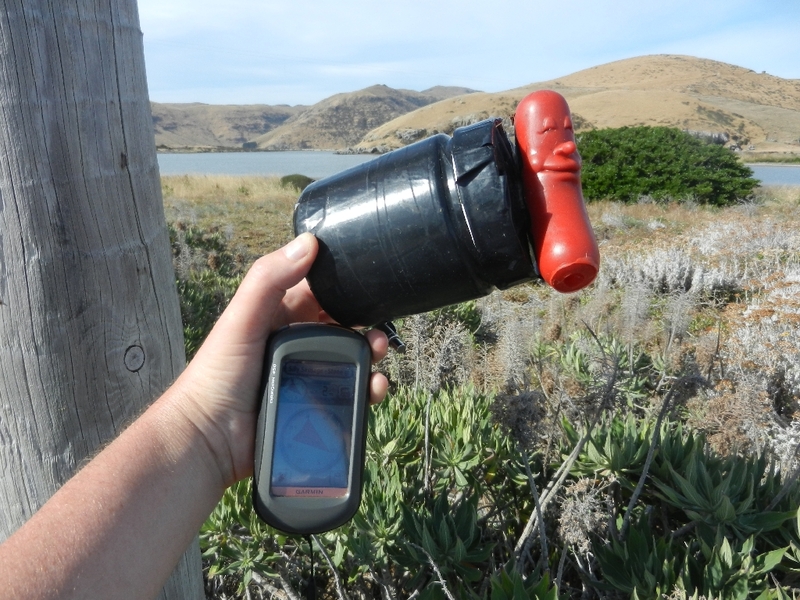 This was followed by a couple of challenge caches, Plane Challenging – 30 Earth Cache finds and Plane Challenging – 75 TBs Discovered/Logged on Birdlands Flats where the small flies were a real pain. Both caches had little planes stuck to them, hence the name I guess. Following that a quick visit was made to Silly Sausage – Stone grill letterbox (Canterbury), a letterbox hybrid cache. After that we went back to Christchurch and a quiet evening sitting outside in the sun enjoying a simple meal and a cold beer. There is something a little special about a letter-box/hybrid cache. 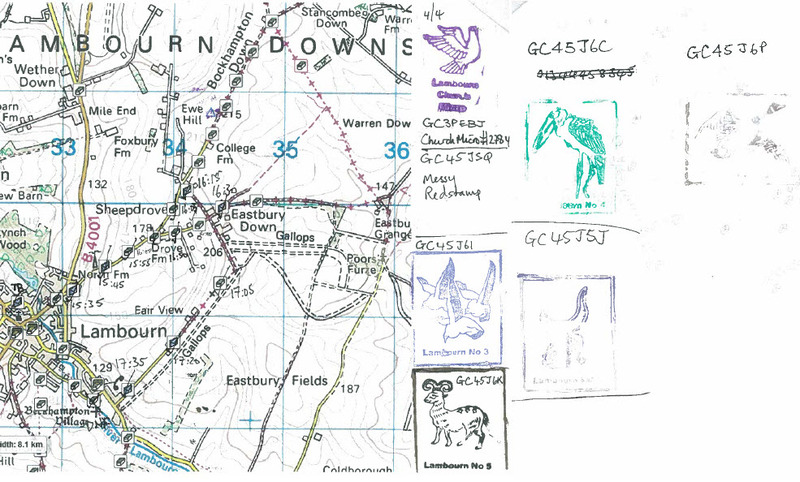 Perhaps it’s because it is a modern implementation of a hundred year old game played on Dartmoor or maybe it’s just the collecting of colourful stamps that makes it fun. During the eleven years I have been geocaching I have found just eleven letter-box hybrids. They seem to be limited to certain areas where pockets of them can occur. I own two close to home that were placed for an event a couple of years ago and they are relatively well visited as they are rather uncommon in my area. Anyway as I was in England, the home of the original letter-boxes, it felt appropriate that after a morning of caching close to Wokingham where a number of very creative caches were found three of us decided to do something a little different to the usual “let’s grab a load of trads”. Half of team “Zelger”, or to be more precise the “ger” part of the team, his son and I set off on the 70 km drive to West Berkshire and aimed for the small town of Lambourn with the aim of hunting primarily for letter-box caches. 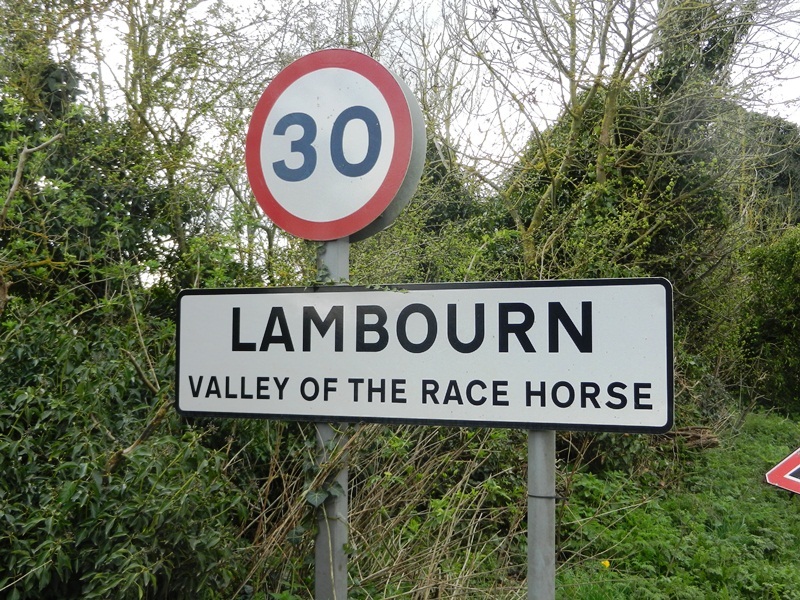 The trail we followed was creatively called “Lambourn”. On more or less the same route were another half dozen traditional caches that formed part of a longer trail. The first letter-box cache was in a front garden of a house, which turned out to be the owner of all the letter-boxes in the area, and was quickly found and stamps exchanged. Our stamp was a less than awe inspiring date stamp as I had left mine at home and zelger don’t have one. The next letter-box was unfortunately in need of drying out so all I got was red fingers and no stamp on my notebook nor the map we were following. Could there be a letter-box in here somewhere? Yes, there was a letter-box and a stamp. 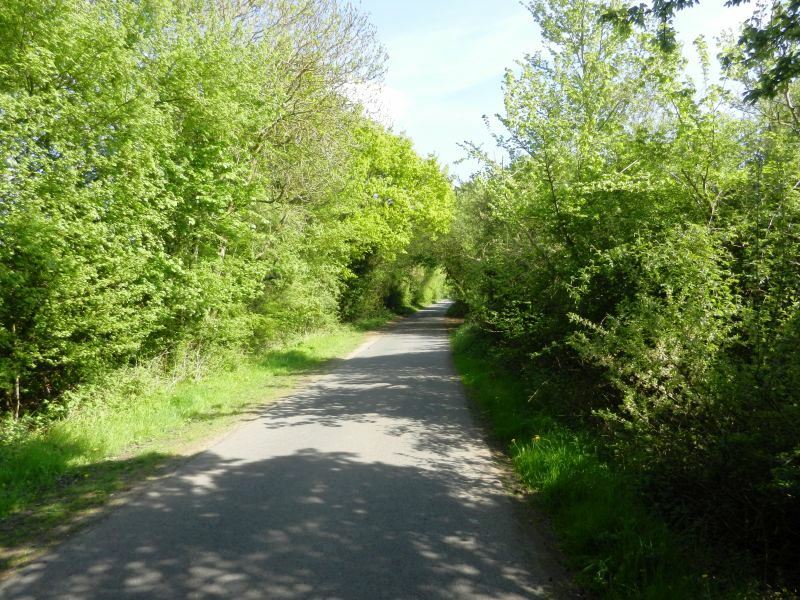 We had better luck as we enjoyed our walk along the country lanes interspersing letter-box caches with traditional caches that were basically on the same route. The whole walk took a couple of hours and we found all the caches we were looking for. It was a somewhat cloudy spring day but the temperature was perfect for walking and the scenery was magnificent. The majority of the bushes were in full bloom. Great! The final cache of the day in hand. A lively discussion was held. 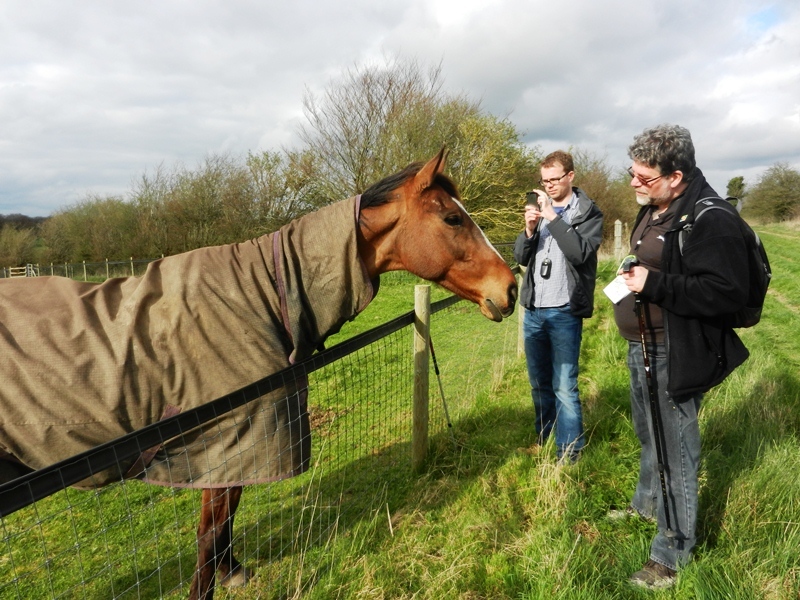 Is this really a race horse? I have now found 18 letter-boxes – 63% up on my earlier total and all managed in a couple of hours. Comments : Comments Off on Letter-boxes.